Custom event fields give you great control over the contents of your calendar and the information you collect for each event. You can create a custom event field that is single-line text entry, or that has choices. When you create a custom event field with choices, you can assign an emoji to each choice. 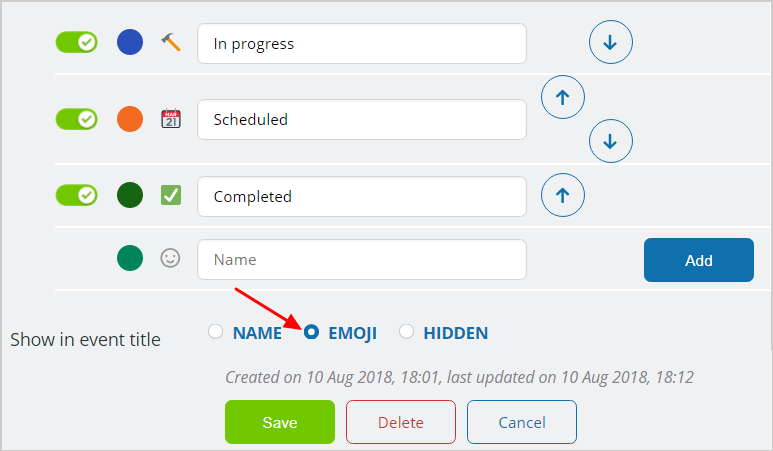 Select Name or Emoji to show in the event title. Then, when you’re viewing your calendar as usual, you’ll see the contents of the custom event field in the event title. if you choose to show the emoji in the event title, that’s what you’ll see. 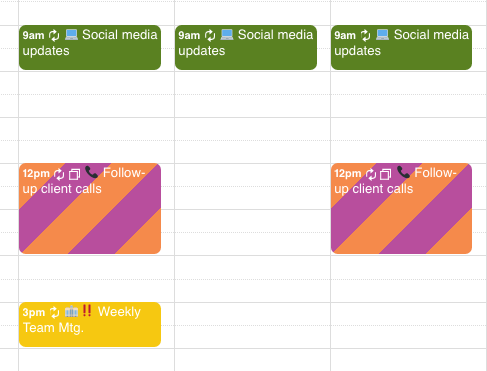 Emojis can help you quickly see workflow or work type. The name of the selected choice is shown in parentheses. « What are custom event fields?